On April 12 each year, people around the world celebrate the International Day of Human Space Flight. It has particular historical significance because on this same day in 1961, Yuri Gagarin, a Russian cosmonaut became the first person to go into the outer space and orbit the earth. This historic event opened a new doorway for future space missions. To honor this first successful human space flight and the beginning of a new era to foster further peaceful exploration missions for the benefit of mankind, the United Nations, in 2011, declared this date the International Day of Human Space Flight. Similarly, on April 24, 2016, China celebrated its first space day to commemorate the country's first satellite launch on April 24, 1970. China's white paper on space activities, published in 2016, stated that China's space program is an intrinsic part of its economic revitalization and development goals. In line with this ambition, China has been spending billions on its space exploration programs. It is worth noting that post-1961, many space missions were carried out successfully by the U.S. and Russia. China, on the other hand, was a late entrant in this field. It didn't send its first satellite into orbit until 1970. By then, the U.S. already had its first astronaut land on the moon. However, China's space exploration program received a major breakthrough in 2003 after Yang Liwei successfully orbited the Earth 14 times in 21.5 hours on the Shenzhou-5 spacecraft. This made China the third country – out of 60 nations that engage in space programs – to independently send humans into space. Since then, China has been making big strides in space exploration as a result of its dedicated efforts in this area. 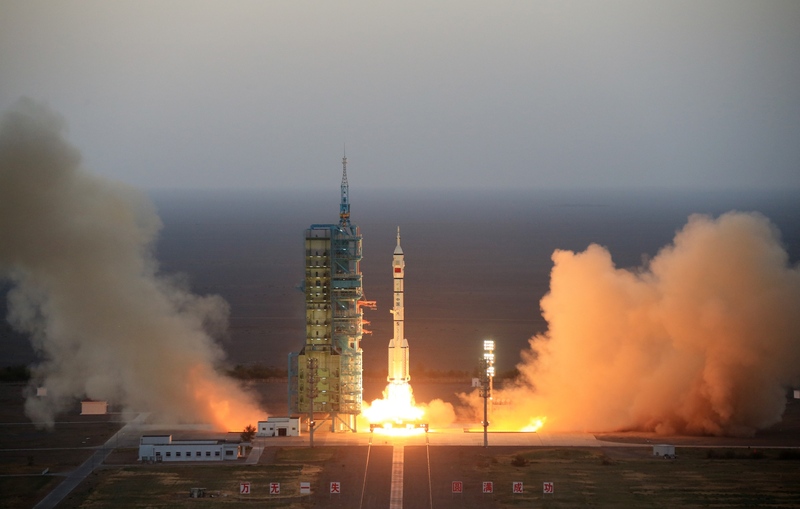 Since 2003, following the successful completion of the Shenzhou-5 mission, China has carried out six Shenzhou manned missions and launched two space labs into the Earth's orbit. In October 2005, Fei Junlong and Nie Haisheng spent five days in outer space while successfully completing 75 orbits of the Earth. Subsequently, in September 2008, the Shenzhou-7 mission was launched, marking the first time a three-person crew in China successfully carried out a spacewalk. And the most recent one with two persons aboard was launched in 2016. That latest mission achieved the first manned docking in space with the Tiangong-2 space station. The future Shenzhou-12 mission intends to dock with Tiangong-3, a large modular space station. Notably, Tiangong is China's space station program which commenced in 1992 and had the ambition of establishing a modular space station. Under this mission, the first Chinese space laboratory, Tiangong-1 was launched in September 2011, and subsequently, Tiangong-2 was launched in September 2016. The project, after it is complete, will allow a team of three astronauts to live there for longer periods of time. This project has been scheduled for completion in 2020. Similarly, in October 2007, the country launched another ambitious lunar exploration program (Chang'e) named after the Chinese Moon goddess Chang'e. This program had three phases, with each phase more advanced than the previous phase. The objective of the first phase was to simply reach lunar orbit. This task was successfully accomplished by Chang'e 1 and 2 in 2007 and 2010 respectively. 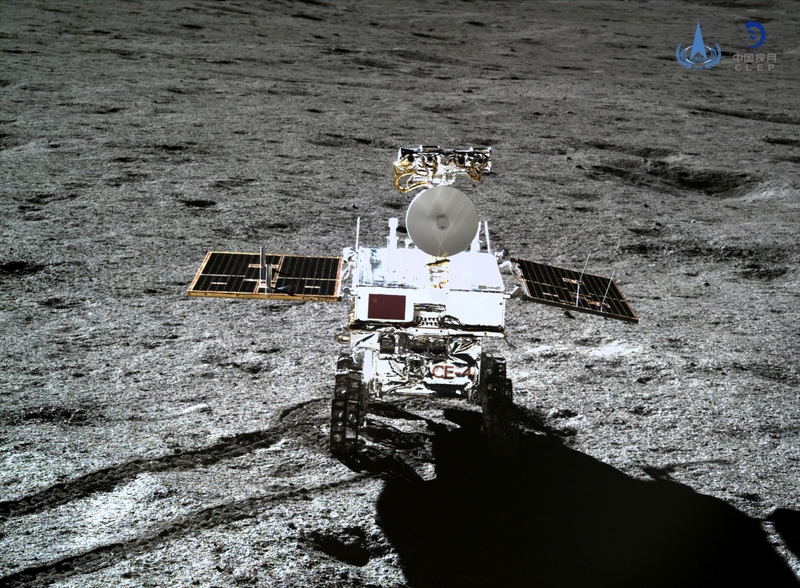 The goal of the second phase included a soft landing and roving on the Moon, which was successfully achieved by Chang'e-3 and 4 in 2013 and 2019 respectively. In January this year, the Chang'e-4 made the first landing on the far side of the Moon. Looking ahead, the future space ambitions of China include the third phase of the Chang'e mission, which aims to collect lunar samples from the south pole of the Moon and send them back to the Earth. This will be carried out by the Chang'e-5 and 6 lunar probes. Chang'e-7 will evaluate the resources on the south pole of the moon, including its landscape, composition and space environment, while Chang'e-8 will test the key technologies such as 3D printing. The program's ultimate ambition is to facilitate a manned lunar landing in the 2030s and possibly construct an outpost near the south pole of the Moon. The program, if successful, would make China the second country, after the U.S., to land an astronaut on the moon. Additionally, future space missions of China also include the docking of Tiangong-3, a large modular space station and sending a rover to Mars. China's space dream is part of the dream to make the nation stronger. With the development of space programs, the Chinese people will take bigger strides in their exploration of space. Although there have always been many questions raised over expensive space exploration programs, the myriad of technological spin-offs such as navigation systems, accurate weather prediction, solar cells, communication devices, etc. are the results of space programs. Space programs offer the possibility of providing alternative habitats for humans in future to avoid the danger of being crammed on a single planet, which is currently marred by limited resources and environmental degradation. Thus, exploring space is an opportunity not only to find a new world and build advanced technologies, but also to create a bigger and better future for humans, irrespective of race and nationality. Although there is still a long way to go, given the determination of the Chinese government and hardworking ethos of the country's space agency, China seems to be on a right track to achieve its ambition of becoming one of the world leaders in space technology and exploration. China is making bold strides in space technology and is on track to become one of the world leaders in the advancement of human knowledge and exploration of space.